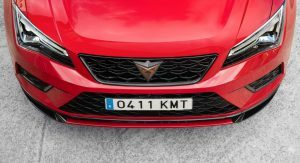 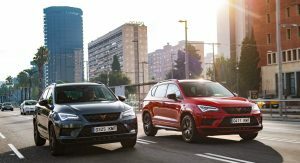 The first product of Seat’s Cupra standalone performance brand will soon arrive in 277 specially selected dealerships across Europe. 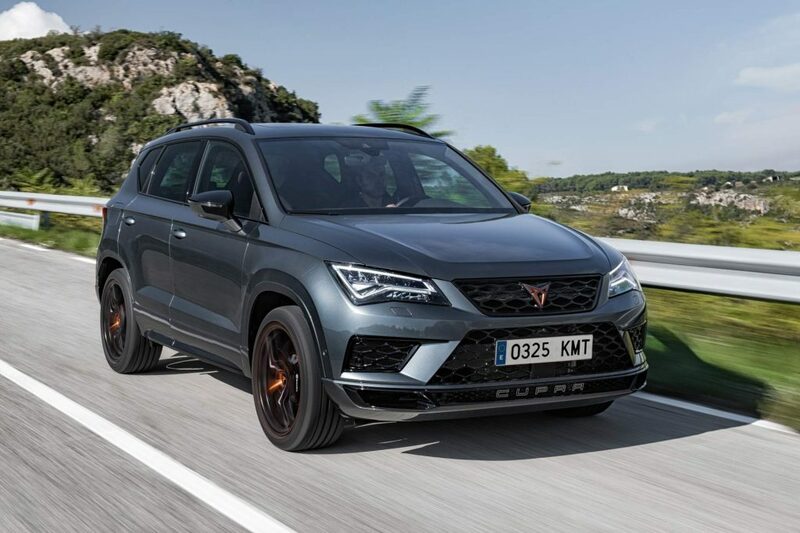 We’re talking about the Cupra Ateca, the 300PS (296hp) SUV that will debut in European markets by the end of 2018. 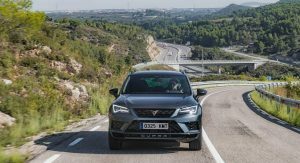 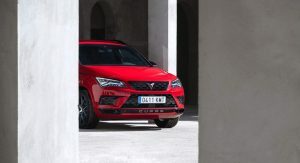 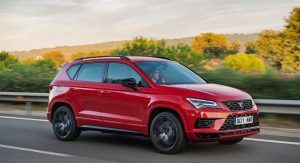 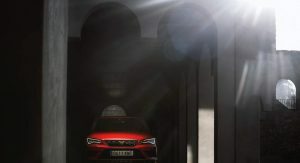 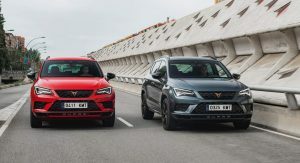 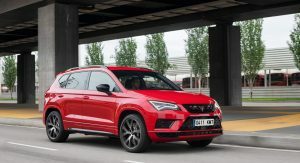 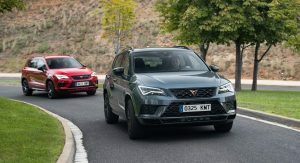 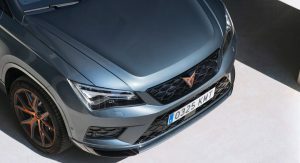 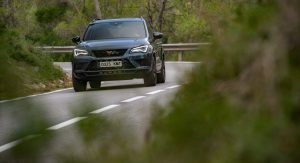 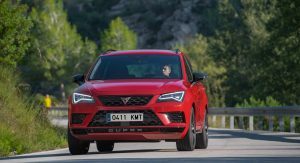 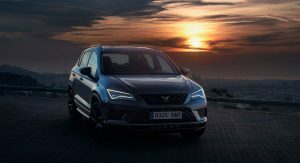 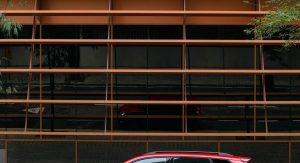 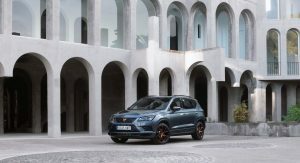 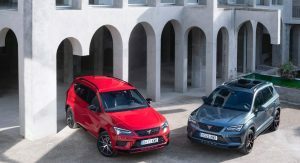 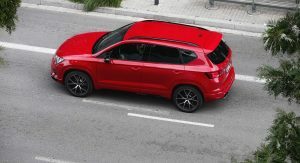 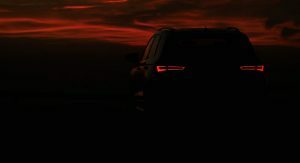 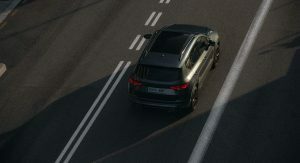 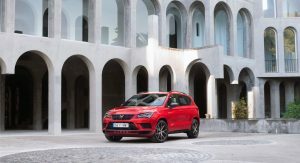 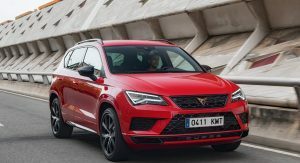 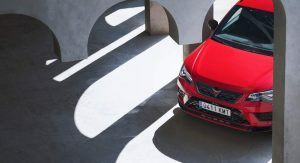 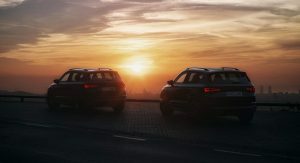 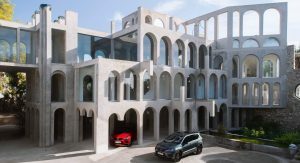 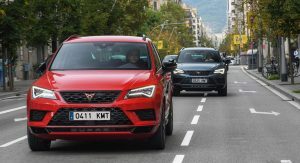 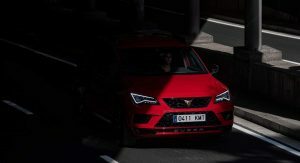 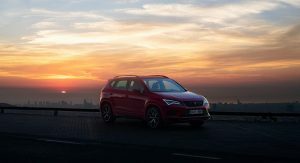 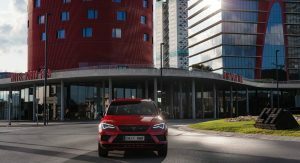 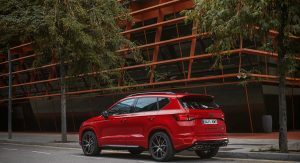 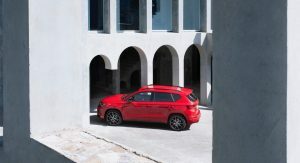 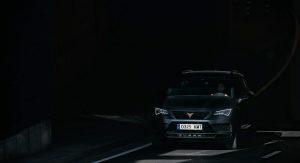 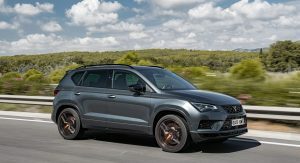 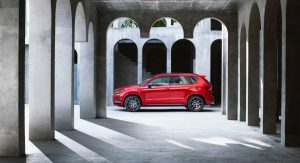 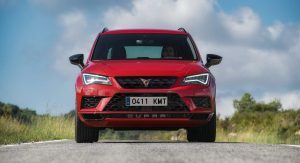 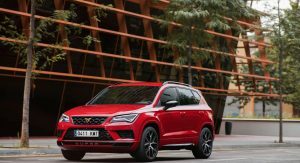 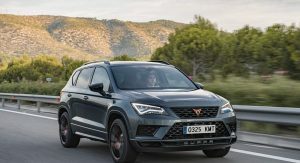 To mark the occasion, Seat has released full specifications and a big photo gallery featuring the performance crossover. 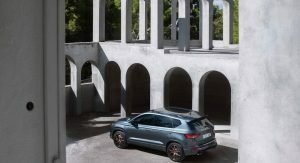 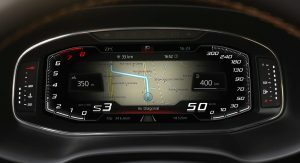 At the heart of the Cupra Ateca is the 2.0-liter TSI turbocharged four-cylinder gasoline engine. 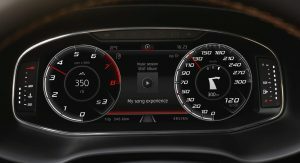 It delivers 300 PS (296 hp) between 5,300rpm and 6,500rpm, and 400 Nm (295 lb-ft) of torque from 2,000 to 5,200 rpm. 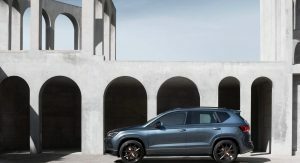 The turbo four is mated to a seven-speed DSG transmission that sends power to all four wheels via the 4Drive AWD system. 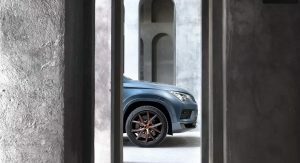 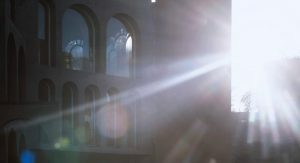 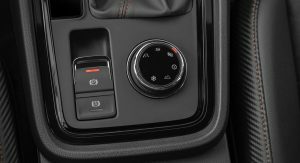 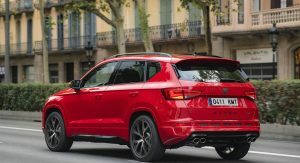 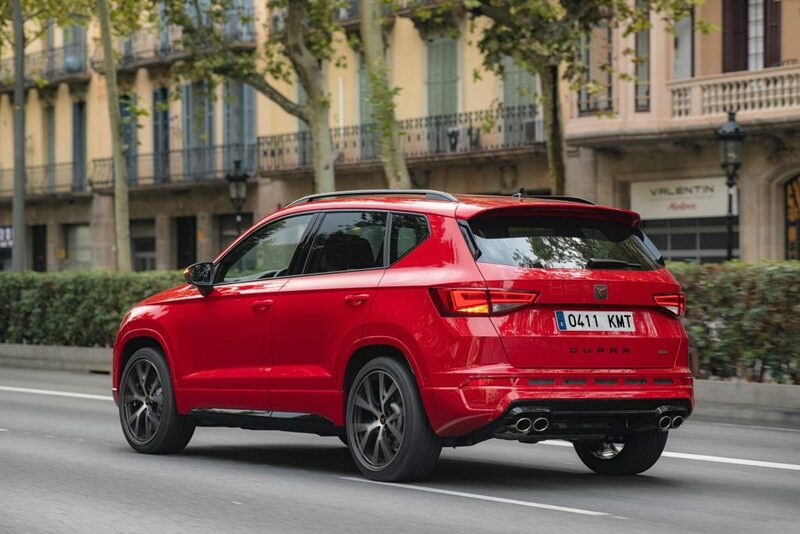 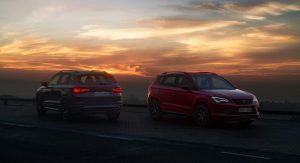 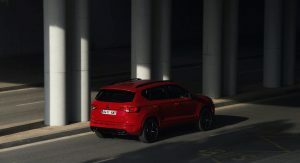 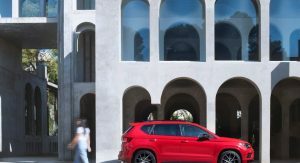 Thanks in part to a standard launch control function, the Cupra Ateca sprints from 0 to 100 km/h (0-62 mph) in just 5.2 seconds. 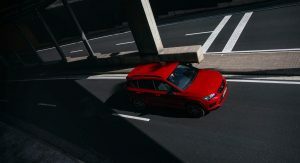 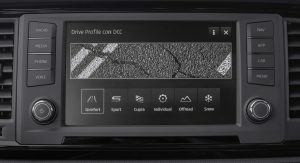 If the road and the law allow it, it can continue accelerating until it reaches 247km/h (153 mph). 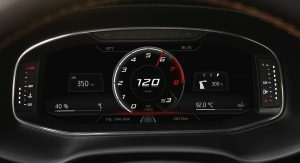 Interestingly, both values are quicker than the initial specs of 5.4 seconds and 245 km/h, respectively. 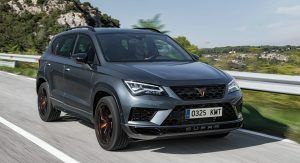 Besides speed, the engine produces a throatier sound than lesser Atecas, courtesy of a sports exhaust system with four exhausts at the rear. 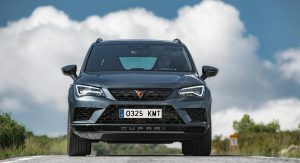 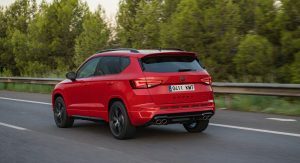 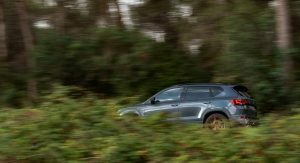 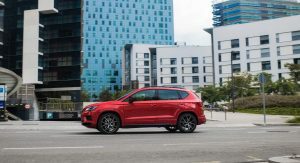 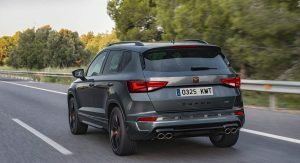 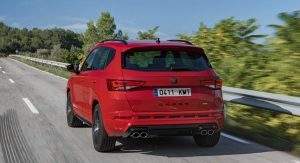 Furthermore, the Cupra Ateca combines hot hatch levels of performance with a decent fuel economy. 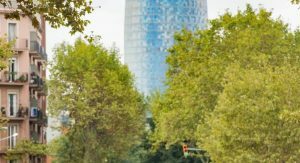 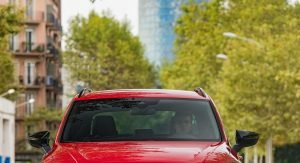 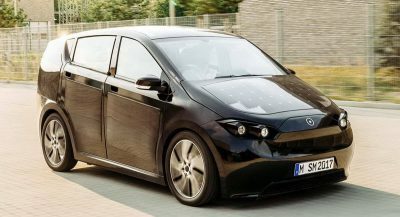 WLTP average fuel consumption ratings are 8.5-8.9 l/100 km, with corresponding CO2 emissions of 192-201 g/km. 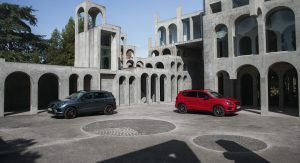 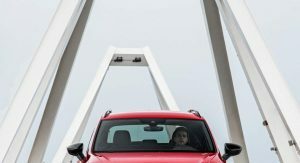 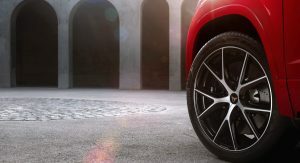 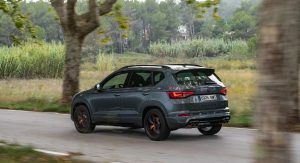 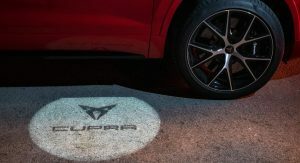 To cope with the added power, engineers also uprated the brakes, with the Ateca featuring larger front and rear discs (340mm/13.4in and 310mm/12.2in, respectively). 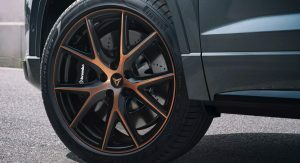 Those who want more stopping power can opt for the Performance Pack that adds 18-inch Brembo performance brakes in black. 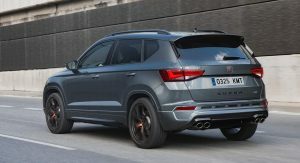 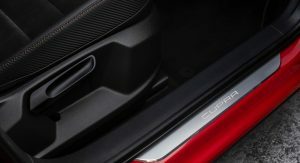 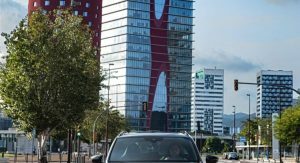 Design-wise, customers can upgrade the Cupra Ateca with carbon fiber mirror caps and bucket seats, available from late 2018. 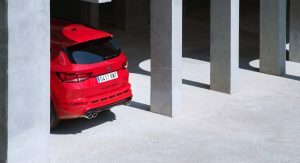 That’s what they called the Volvo 850R Estate…. 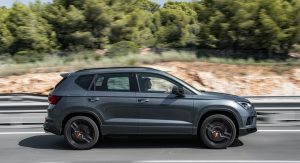 A poorly rebadged Volkswagen is forbidden fruit? 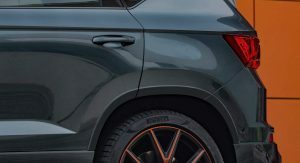 Jeez. 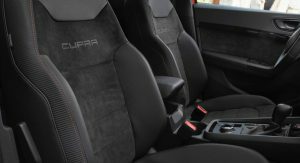 Remember the US market and when something is unavailable it seems to “sexify” it. 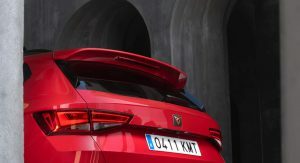 The way Volkswagen have removed the SEAT badge from the rear and replaced it with a sloppy Cupra one is laughable. 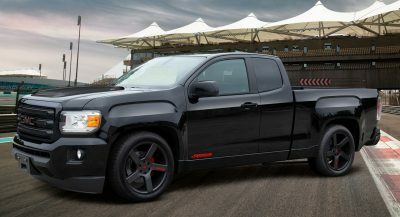 It’s hilariously bad as the one on the bumper and steering wheel don’t match up. 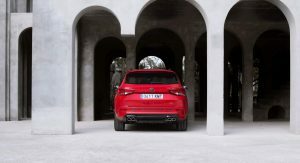 Except that it’s got Euro-spec (so more than the US) Golf R power? 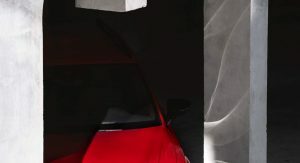 Yeah that’s the Golf R, S3 etc engine. 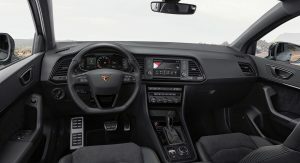 I think the GTI has a detuned version of the same one though. 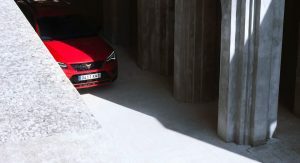 The real question is, how well does it go around a corner and how good does it feel to drive it enthusiastically? 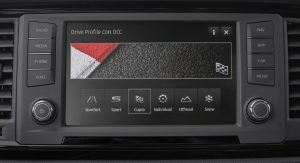 The digital instruments are pretty cool. 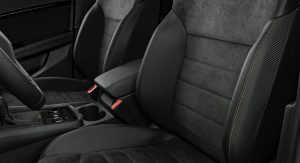 Love the customization they have!